David Attenborough presents the raven. David Attenborough presents the story of the raven. 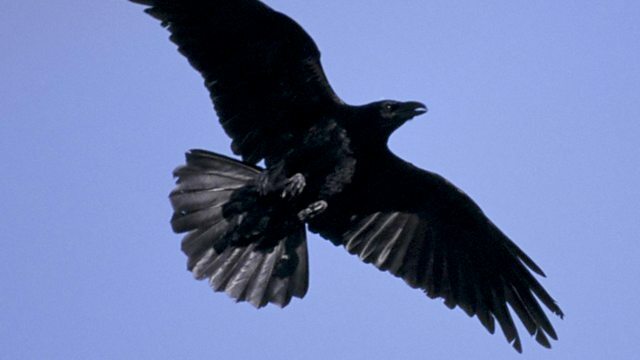 Ravens are one of the most widely distributed birds in the world and can survive Arctic winters and scorching deserts. In the UK, Ravens were once widespread, even in cities but persecution drove them back into the wilder parts of our islands. Now they're re-colonising the lowlands and are even turning up on the outskirts of London where, since Victorian times, the only ravens were the ones kept at the Tower.